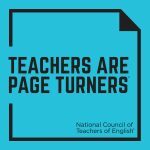 Teachers are page turners. Like the most finely crafted books, from the minute we begin our time with them, they encourage us to launch forward, to see what’s next, to hunger for what is just around the bend, and to use what we’ve learned to take our thinking farther. 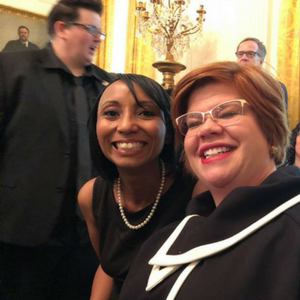 The National Teacher of the Year celebration at the White House showcased educators lifting their voices, modeling civility, dialog, and the power of creating connections among adults and children. Last week, I had the honor of participating in the National Teachers of the Year celebrations in Washington, DC. The day was filled with conversations with page turners, hearing story after story of their incredible work. But one story in particular has stuck with me. Over lunch, NCTE member Kimberly Eckert, the Louisiana Teacher of the Year, talked about visiting a legislator’s office and being asked, “So how do you handle a really challenging day with a student that you really struggle to reach?” She said she took a deep breath and then proceeded to explain to those in the room all the ways in which she is highly educated and highly prepared to handle such situations. She pointed out the years of professional learning, credentialing, and practice that have built her ability to flexibly adapt to whatever is thrown at her. She projected the confidence she believes all teachers should have as some of the most highly educated professionals in the land. If the policymakers were looking for a story of struggle, what she gave them instead was a story of skill. Kimberly and I were seated at lunch with two other state teachers of the year, Heidi Crumrine from New Hampshire and Becky Mitchell from Idaho. Both are also NCTE members. Heidi and Becky readily recounted their years of preparation, higher education, and professional development they’ve taken part in since joining the profession. Becky pointed out that she has had more training than many lawyers or doctors do. That makes sense. Teachers are responsible for building our future. As a society, that should require all the preparation and ongoing professional learning conceivable. Just like every other profession that places such trust in the hands of a professional. 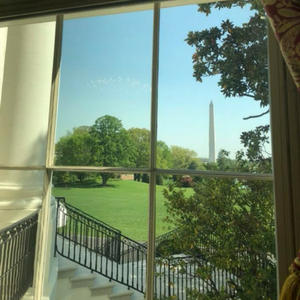 The National Teacher of the Year celebration at the White House showcased educators lifting their voices, modeling civility, dialog, and the power of creating connections among adults and children. 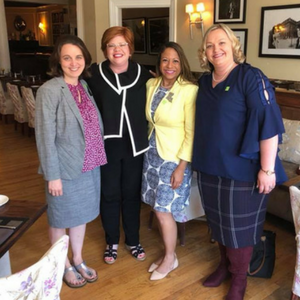 I enjoyed a wonderful lunch last week with three NCTE members who are also Teachers of the Year: Heidi Crumrine (NH), Kimberly Eckert (LA), and Rebecca Mitchell (ID). Heidi Crumrine (NH) brought a former student to the celebration. It was wonderful to meet Tamiko Brown, School Library Journal’s 2017 School Librarian of the Year. 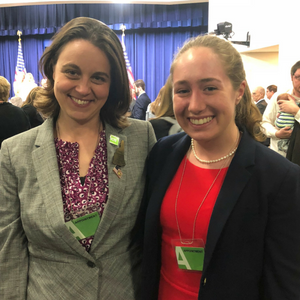 Teacher Appreciation Week recognizes the incredible work educators do, but questions like the one Kimberly received from policymakers point to the hard truth that many people don’t really understand what goes into the job. Here at NCTE, we do. And as the executive director of your professional home, I know I join a loud chorus of elected leaders and staff in saying we appreciate who you are and what you do every day of the year. You’re page turners, writing the story of our tomorrow in the work you do with students today. Thank you today and every day for being the incredible people you are!